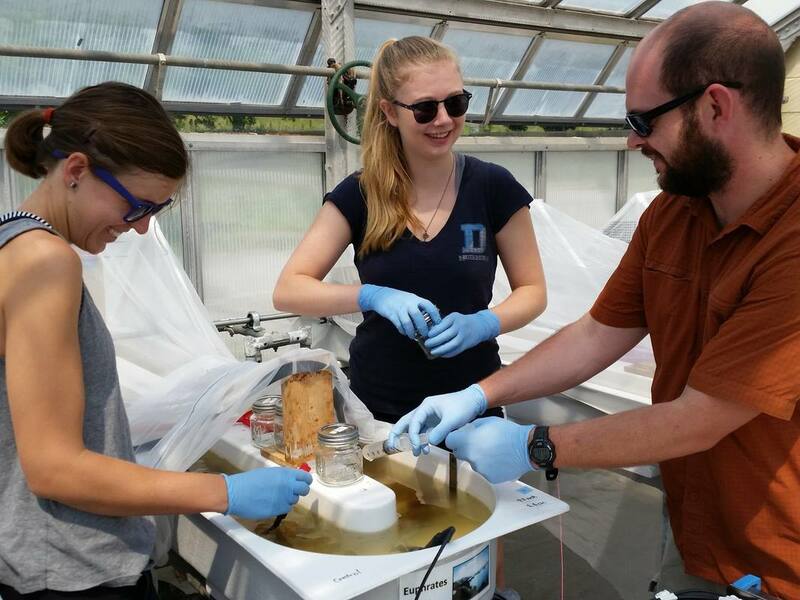 Our lab is interested in soil and water quality within urban environments, and how things we do as humans affect the quality of both soil and water. Urban environments are novel ecosystems that are highly managed by humans, and are comprised of a mosaic of interacting natural, social, economic, and regulatory stakeholders. We strive to focus on the ecology of the city and ecology for the city, acknowledging that the city and its residents are integral components of urban ecology. We strive to approach urban soil and water quality issues from a holistic point of view, acknowledging the inherently interdisciplinary nature of urban ecology. 1. Nutrient and energy cycling of urban aquatic environments. In particular, we are interested in urban stream ecosystems, but work across a range of aquatic environments. 2. Nitrogen retention and transformations in residential lawns, and testing how different lawn management practices during and after residential development can alter these nitrogen dynamics. 3. The influence of emerging contaminants of concern, such as pharmaceuticals and heavy metals, on ecosystem functions such as gross primary production, decomposition and denitrification. In Spring 2019, we began a partnership with the City of Gainesville to investigate alternative strategies for managing multipurpose fields in city parks. We plan to provide updates for the #ConeParkCompost project regularly at our Cone Park Compost project page. We use a range of techniques to investigate urban soil and water quality issues. We perform manipulative experiments focused on specific contaminants or drivers. 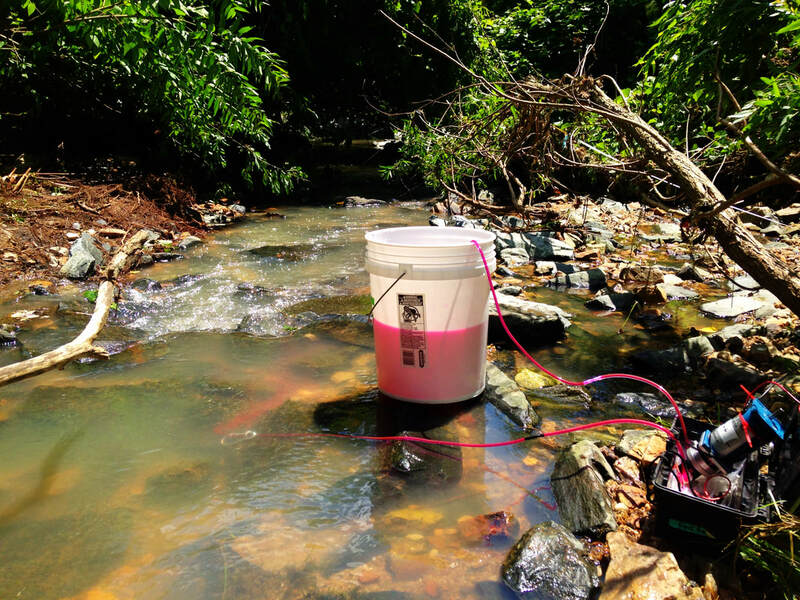 These experiments are often performed in our laboratory at the University of Florida, but we also are capable of working in a state-of-the-art artificial stream facility (pictured above, photo courtesy of Dr. Sylvia Lee) run by Dr. Emma Rosi at the Cary Institute of Ecosystem Studies. Additionally, we have the capabilities to run a wide range of column- and chamber-based studies in the lab focused on soil processes. In order to understand how various ecological processes occur and respond to specific environmental drivers, performing field-based studies across a range of environmental conditions is crucial. Field approaches include monitoring ambient conditions using low-cost sensor technologies, manipulative field experiments such as nutrient tracer additions (pictured above), and plot based manipulations to test lawn management strategies. Due to the high variability inherent in ecological data, particularly for urban environments, we are also in the process of developing a long-term monitoring program for Florida streams. 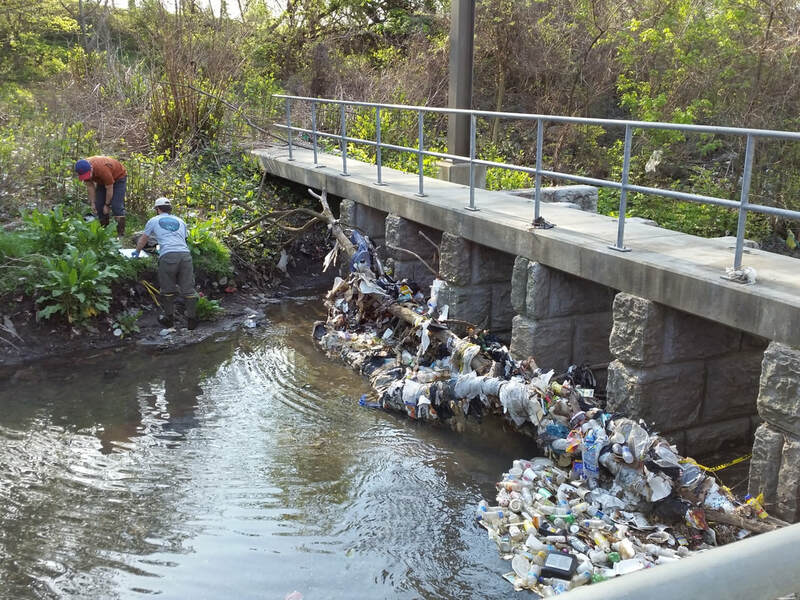 In addition, we collaborate with members of the Baltimore Ecosystem Study as part of a 20+ year monitoring record of urban water and soil quality. Long-term datasets allow us to identify patterns that would be undetectable under typical research project lifespans, while also providing for adaptive management capabilities as environmental quality conditions change.